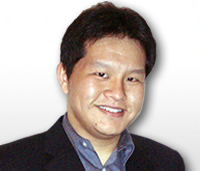 Jeremy Yung has been the Regulatory and Quality Assurance Associate at ArthroCare Asia Pacific since 2010. Prior to joining ArthroCare, he was the Regulatory Affairs Associate for Coloplast A/S’s Hong Kong Office. Mr. Yung has lived in Asia for the past 3 years and has firsthand experience in both submissions and compliance for countries throughout Asia Pacific. He has participated directly in the development of regulatory requirements for new and developing regulatory bodies in Asia. He received his B.S. in Biomedical Engineering from the University of Southern California and his M.S. in Regulatory Affairs from Northeastern University. Mr. Yung’s native language is English and he is also fluent in Chinese Cantonese and Chinese Mandarin.